Lose That Girl: RATE IT! 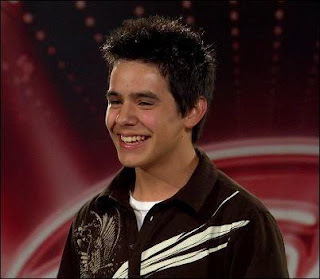 David Archuleta - First Single! As a recent convert to the soulful musical stylings of American Idol 'runner-up' David Archuleta...I was quite happy to see that his first single is being debuted this Friday on Z100 in NYC. Titled 'Crush', it kinda sums David up, don't you think? Many gals have one on David - and why not? Bad boys are over-rated, don'tcha know! Great post! You write very well! Check out my blog if you have some time! I've listened to "Crush" about 30 times now and I still LOVE it. I think it's the perfect first song for Archie, and for me, one of the best from a former AI contestant post-idol. It's really nice to hear him sounding current. Can't wait for more!